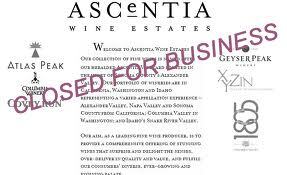 The unraveling of Ascentia Wine Estates, the Healdsburg company that once owned Geyser Peak, is a cautionary tale of the dangers of leveraged buyouts, a reminder of the critical role that distributors play in the wine business, and an example of how hard wineries can fall when the economy slows. Ascentia was formed in 2008, becoming one part of a complex $209 million entity led by San Francisco-based private equity firm GESD Capital Partners, which brought investors together to buy a portfolio of eight wineries from Constellation Brands. 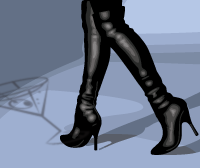 Ascentia would own the brands and run the wine business. Its partner, VinREIT, a real estate subsidiary of Entertainment Properties, based in Kansas City, Mo., would buy the real estate and vineyards, contributing about $115 million to the deal. The sale was viewed at the time as a boon to the North Coast wine industry, restoring local ownership to some of Sonoma County’s storied wine brands, such as Geyser Peak, Gary Farrell and Buena Vista Carneros. It all came to an end last week, when E&J Gallo announced it was buying Ascentia’s last two remaining wine brands, ending a 13-month sell-off of the Healdsburg’s company’s wineries.